In an open air church sanctuary in Haiti, she walks over to me with a twinkle in her eye, seemingly holding in giggles. Taking both of my hands in hers, she positions each of her hands directly underneath mine. Before I know what she is doing, she swiftly pulls one hand from underneath mine, and gently smacks the top of my hand while erupting in a deep belly laugh. I begin laughing too, surprised by the quiet girl with braids in her hair. Though we cannot speak each other’s language, we spend the next five minutes taking turns trying to catch each other off guard with a swift movement of the hand. Her friends start to push her aside, eager to prove their own skills in the game, and the laughter starts to spread from one child to the next. What happens when you invest in the talents of a widowed mother in Ethiopia? Something beautiful happens. 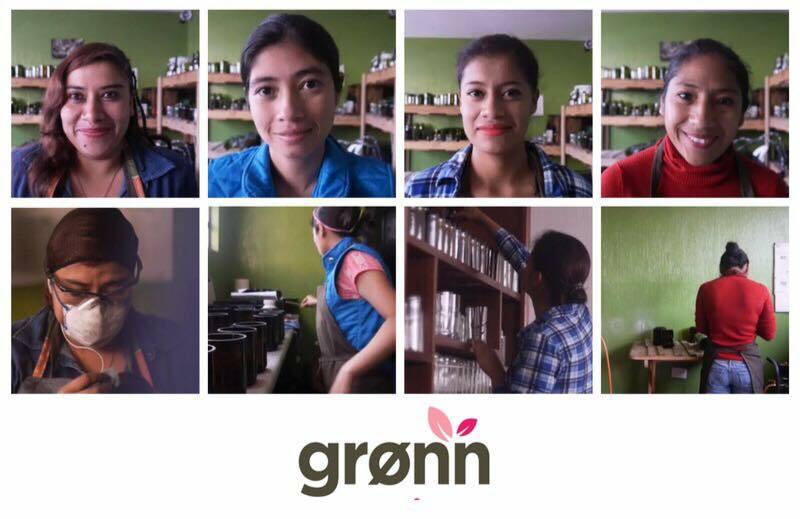 What changes when you teach a group of Guatemalan women a new, profitable skill? Everything changes. Who is impacted when a collection of mothers routinely sit down together to share their struggles, learn how to save money, and challenge each other in their business ventures? Entire families, communities, and towns are impacted. 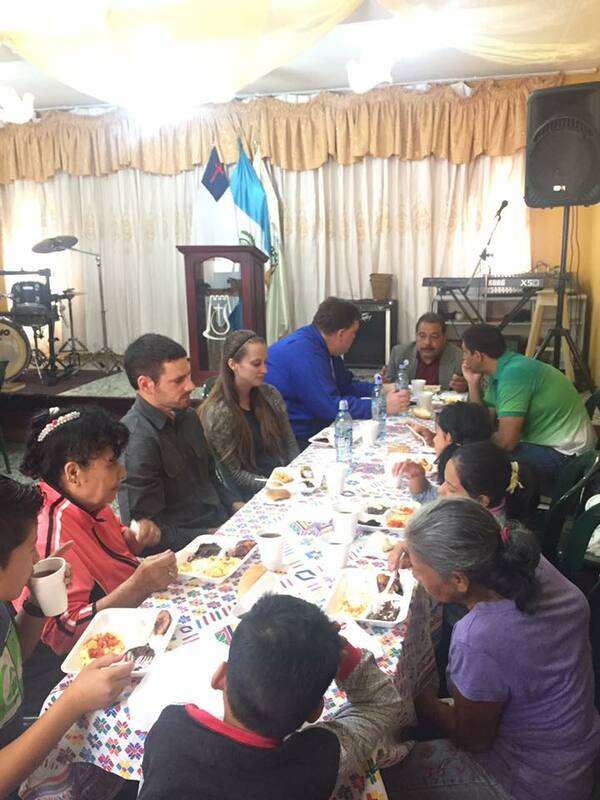 By Scott Vair | President Last month I traveled to Guatemala, along with the rest of the World Orphans Board of Directors, to visit our projects and ministry partners. Over the last several years, we have developed an amazing partnership with AMG Guatemala, a Gospel and child-focused ministry located in Guatemala City with whom we have many shared values. While at the main AMG Guatemala campus, we spent some time with their President, Brian Dennett. For the sake of our board members who hadn’t met Brian or heard the vision of AMG, he shared a bit about their decades of ministry in Guatemala, where they have largely focused on education and medical care. Brian explained that he and his staff are not the founders of AMG Guatemala, (nor am I and my staff the founders of World Orphans), but we both have, as Brian stated, the privilege and responsibility to steward the ministries well. During my nine years at World Orphans, I have seen families pack up their belongings and move to foreign countries to help facilitate our ministry. I’ve seen incredibly talented people faithfully raise personal support from family and friends in order to lend their expertise to this ministry. I’ve seen thousands of donors sacrificially give, from change collected by children to tens of thousands of dollars donated by foundations, churches, and individuals who believe in what we are doing. As a result, thousands of orphaned children, vulnerable families, and refugees have received love and care from the local church. What a privilege to be part of this. What a responsibility to steward. We have worked hard to do just that - to steward well, in a way that honors God and those who have sacrificed much to give, go, and pray for World Orphans. It is one of the reasons we obtained and maintain our accreditation with the Evangelical Counsel for Financial Accountability (ECFA). 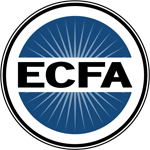 “ECFA enhances trust in Christ-centered churches and ministries by establishing and applying Seven Standards of Responsible Stewardship™ to accredited organizations. ECFA’s Seven Standards of Responsible Stewardship™, drawn from Scripture, are fundamental to operating with integrity. We take these standards seriously, and we are committed to following them. We trust that in doing so, we give confidence to our supporters that their gifts are being used well, and that we are an organization worthy of their time, talents, and treasures. It is a privilege to serve at World Orphans. We pray that our words, our actions, our thoughts, and our plans bring honor and glory to the Lord. By Kathy Davis | Director of Wholistic Care I just returned home from Wholistic Care Training for our church partners in Guatemala City. Following a full day of travel, I found myself pondering the tender moments in our week together. During my short drive home from the airport, I was reconnected with a friend who was in significant emotional pain. Attempting to see the road through my tears, I wept with her and breathed prayers that Jesus would be her hope and help. My drive home was followed by a couple of hours with my oldest daughter, eating out of the same bowl of banana pudding and diving into anything I missed while I was away. Catch-up time with my precious adult daughters typically begins something like this … “So, my girl, how is your heart”? We processed through some of her struggles; shared some tears and then she paused and asked me, “So, Momma, how is YOUR heart, and what was the highlight of your time in Guatemala?” As I shared, she entered into the stories, landing both of us in another bucket of tears. As we considered the harsh reality of suffering against the sheer beauty of Christ’s redemptive work in hearts all over the world, how could we not weep? I invite you to journey with me through an impactful few days in Guatemala City. 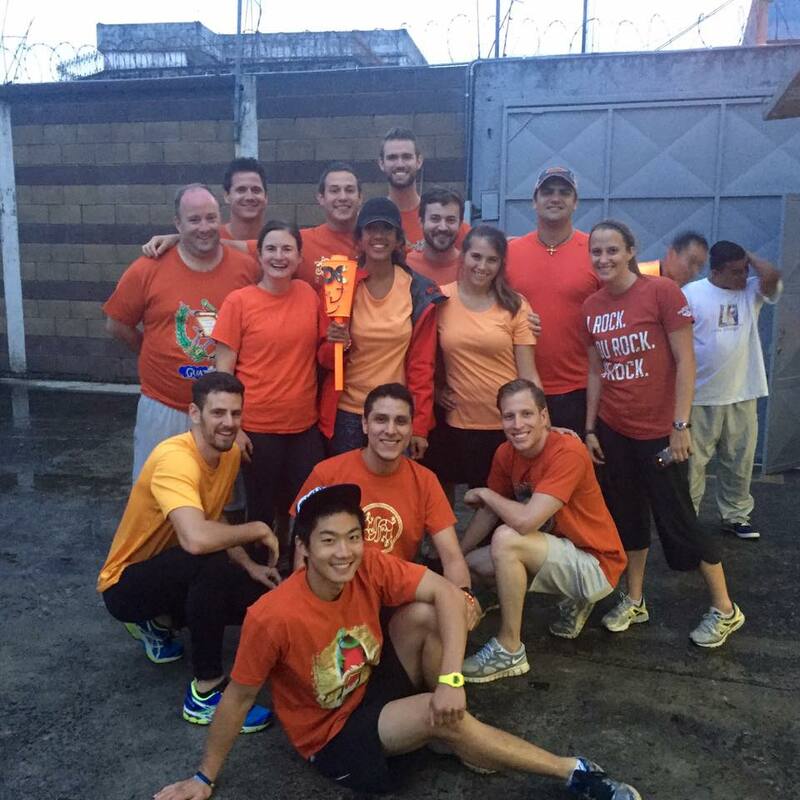 World Orphans is honored to serve alongside the ministry of AMG Guatemala (Advancing the Mission of the Gospel). Together, we have the blessing of seeing the global church engage and care for the most needful families and children in their communities. The tireless pursuit and love of God, who came to us in our sin, is what moves us out of our comfort zones and into the lives of others. I often hear it said ‘the church has enough needs of its own’ but the Guatemalan church is busting through this paradigm. The sobering and tragic reality is that resources are limited and the need is great in that two thirds of the Guatemalan population live in poverty. Violence, drug trafficking, and sexual abuse are common and “In nine out of ten cases, the culprits are family members, and in eight out of ten cases, the abuse is committed in the minor’s house,” (IPS News Agency). F rom the onset of our combined training, World Orphans President, Scott Vair, had all of the attendees roped in as he addressed the biblical view of spiritual adoption, saying, “Adoption is not an idea of man, but originally an act of God” (Eph. 1:4-5). The intentionality of God to reach mankind who is born into sin, provide forgiveness through His son, and adopt us into his family compels us to love those who are marginalized. Scott passionately reminded us that ‘rightly motivated love is not based on how we feel.’ Rather, it is focused on Christ who suffered, willingly laying down His life, shedding His blood for our sins, and pouring His love into our hearts! Sacrificial love that is focused on the Gospel compels us to love because He first loved us (1John 4:19). Ministry that is motivated out of love is not an obligation. It is a privilege. It is a calling. It is an honor. Every time you hug a child, it matters. Every time you spend time with a child, it matters. Every time you tell a child you love him, it matters. What you are doing matters because children matter to God. The simplicity, yet significance, of these words get me every time! “But Jesus called them to Him, saying, “Let the children come to me, and do not hinder them, for to such belongs the kingdom of God” (Luke 18:16). As I sat with my daughter, recounting the extravagant love of the church to engage suffering families with insurmountable needs, I kept coming back to the significance of what it requires to ‘enter in’ to the hardship of another. The struggles are real. The need is great. Time is short. Whether rich or poor, young or old, every heart has a story to tell. World Orphans ministry partners generously donated 50 Jesus Storybook Bibles in Spanish, which we brought to Guatemala. Scott Vair had the privilege of communicating that every child’s story finds his/her identity and purpose in the greatest story ever told; God’s story. Hearing some of the painful situations that children walk through is utterly heart breaking. Children who live in the effects of abuse learn to bottle up their pain. They fade into the background. They suffer in silence. They hide. Taking time with children aids in unlocking a child’s story and helps to bring it into the light where genuine hope and help can be found. I introduced a booklet entitled ‘My Hope’ in an effort to help children cultivate trust through verbal and non-verbal expression with their caregivers. In the context of loving relationship, trust is built and healing is likely to begin. I loved meeting and learning from AMG’s Psychologist, Jenny Barrios. Jenny had us all engaged as we were each given a red hand that says ‘NO’ and participated in learning a portion of what is masterfully being taught in AMG schools. AMG’s Child Protection and Restoration Program is teaching children to say NO, which is imperative because sexual abuse generally begins in children who are too young to understand appropriate versus inappropriate touch. With the use of a piece of yarn, children are taught that they have their own personal space that is not to be violated without permission. Educating children about the anatomy of their bodies and regions that are private is helping them to understand what is off limits. Teaching children to say NO is empowering them to obtain and use their voice. You may ask, “How does one measure the developmental progress in the lives of children who come from extreme poverty, abuse, and neglect? How much is the church really able to do? What we do know is that care for the vulnerable will require relational engagement and specific attention. The provision of wholistic care through global church partnership provides for some of the tangible needs of food, education, and spiritual discipleship. However, the measure of these tangibles may not result in their attending college or obtaining a lucrative career. Measurement is important and we must do everything we can, but I believe the heart of the matter is best expressed in the following way. “The measure of success for children who have come from hard places is for a child to know that he is precious and loved” (Dr. Karyn Purvis). I become more and more aware of the impact that is being evidenced in the context of family and loving relationship, one precious life at a time. Wholistic Care Training in the countries we serve is rooted in ‘heart transformation’ made available through the death and life of Jesus Christ, which is continually empowered by the Holy Spirit. So, to answer my daughter’s question, what was the highlight of this trip and how is my heart? My personal highlight was the tender blessing of holding a Guatemalan sister, who is serving children in her community, in my arms as she wept through a deep place of personal grief. It was an honor to ‘enter in’ to her pain. It was a privilege to weep with her. It was a blessing to tenderly remind her that God loves her, that He is good, and that He is binding up her broken heart … even now. How is my heart? My heart is stirred by the vast opportunity that is right in front of me; wherever I am. Disappointment, struggle, sin, and hardship place every tongue and tribe on the same playing field. My heart is most present when the Spirit of God moves me to ‘enter in’ to the story of another as an adopted child of God, whether here or there. “The Spirit of the Lord God is upon me, because the Lord has anointed me to bring good news to the poor; he has sent me to bind up the brokenhearted, to proclaim liberty to the captives, and the opening of the prison to those who are bound; to proclaim the year of the Lord's favor” (Isaiah 61). Though all is not well in this world, there is the bright Hope who is ever present. His name is Jesus. Families are being visited. Children at risk are being educated; but most significantly, hearts are being healed as the global church ‘moves out’ and ‘enters in’ to human suffering. Jesus, Healer – be lifted up! - How is your heart? - How might God be compelling you to ‘enter in’ to the heart of another and the ministry of World Orphans? Seth Godin, a well-known marketing and thought leader, has frequently discussed the idea of “The Connection Revolution” where technology connects people to form relationships and share ideas that will create value and revolutionize the way everything gets done – education, enterprise, government, religion, EVERYTHING. While this attitude is disrupting life globally and can certainly be called a revolution (at least for everyone not in Generation C), I think it’s better described as an economy, The Connected Economy. 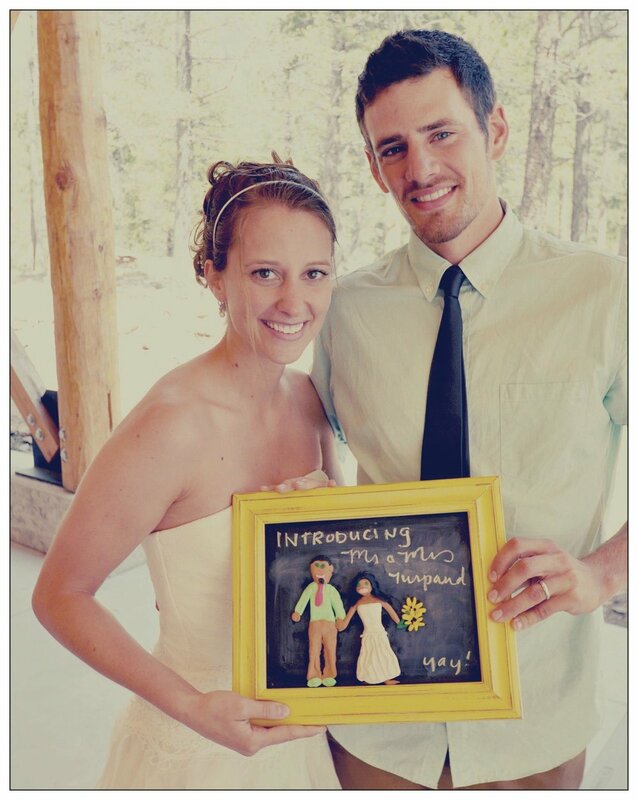 So why did I decide to blog about a marketing guy’s view of the world? Because, in fact, this is happening everywhere around us, right in front of our very eyes. The people and organizations that understand and take advantage of the unprecedented opportunity we have before us will be the leaders and influencers of the next generation. Those that resist change or simply ignore the technology that is shaping our lives will simply fall behind. Way behind. In my position, I oversee all of our projects internationally. I frequently travel, meet with local peoples, and get a small glimpse of the world. Of course, my viewpoint is greatly influenced by my own experiences and environment. But what have I learned so far? Haitians are connected to Ethiopians are connected to Cambodians are connected to Kenyans are connected to Guatemalans are connected to Iraqis are connected to South Africans are connected to Americans and so on. And despite not owning a laptop computer, many of my friends in these countries are more “connected” than I am. In addition, they have relationships to various non-profit organizations that I have only heard of. And while many have been quick to connect person-to-person, many non-profits, in general, have not connected with other non-profits though they are desperately fighting to achieve the same goals. Many don’t want to open their network for fear of losing donations or work together because they won’t give up control or acknowledge that others may know of a more efficient, culturally appropriate way to solve the same problem. For various reasons, we tend to want to hold onto the way things have always been rather than accept that change is constant. We are better together, especially when we put aside our egos and agendas to accomplish things far greater than any of us individually, things that will improve many lives. This is one of those visionary aspects I really appreciate about World Orphans and other like-minded organizations. We acknowledge that we CANNOT do it alone. Caring for orphaned and vulnerable children is a monumental task because they will always exist in this life and can be found in every community in every country on this planet. However, rather than give up and relinquish the fight, we choose to align ourselves with churches, businesses, non-profits, and every-day people from all over the world who are passionate and will not quit. One of our core values is commitment to partnership. We say it. We mean it. Currently, World Orphans partners 48 international churches to US churches, one-to-one, and have more than a dozen formal and informal partnerships with organizations that share a similar vision to empower the church and offer complementary resources and specializations. In fact, in each of our five countries of growth in our ministry, we have formal partnerships in place that support our mission and objectives. Here’s how collaboration plays out in real life. 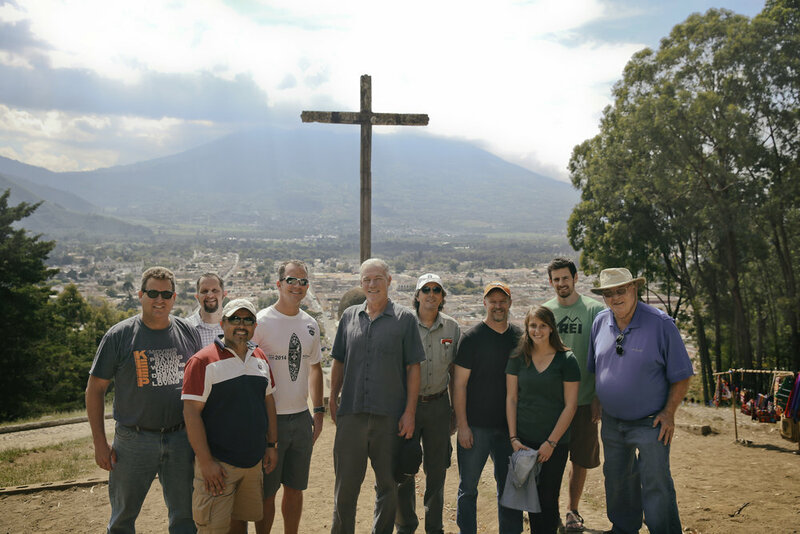 Last month, I traveled to Guatemala for the 4th time in 15 months to participate in the training and rollout of a formal 4-way partnership between AMG (Guatemala), World Orphans, Guatemalan churches, and US churches. It’s the first time we have included this many partners to do ministry together. However, we each had something valuable to bring to the table and loosely defined roles that will ultimately help empower the local church to care for its people, provide food, education, medical care, counseling, skills training for vulnerable children, and build capacity to strengthen families. Our time together included a lot of listening, learning, processing, and discussing. It also included eating together, prayer, laughter, and tears. We were building relationships and it was effective. The pre-requisite for partnership is alignment not agreement. We will likely never agree on everything but can always align with something, the Great News of Jesus spread by churches locally through actions and words. The rest are details that can be worked out through coordination, trust, permission, and shared ideas handed out generously, with the objective of accomplishing something that honors God, is bigger than anyone individually, and possibly has never been done before. You see, church partnerships are difficult and messy. Churches, like hospitals, are full of broken and hurting people, sometimes physically and often emotionally, spiritually and relationally. But when God’s people join together, unified under the banner of love, and give encouragement to the broken, it becomes a beautiful mess…and it’s all worth it.